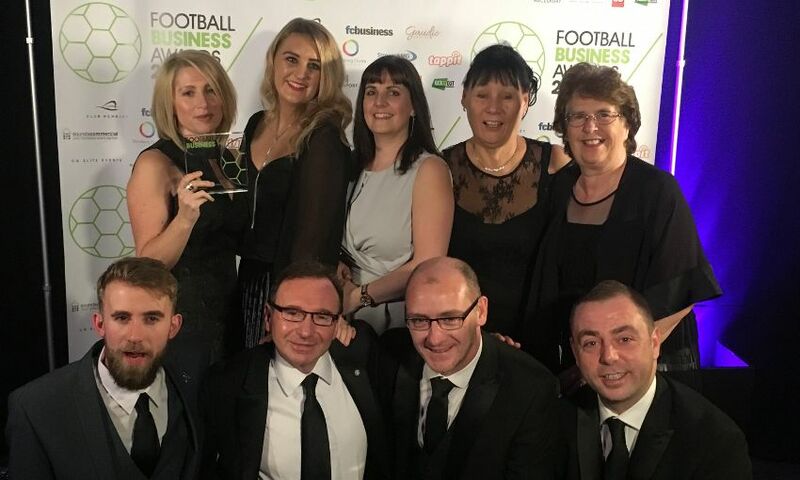 Liverpool FC celebrated a double win on Thursday night by scooping two top accolades at the Football Business Awards in London. The prestigious ceremony, held at City Central at the HAC, saw ‘This Means More’ take the silver award for Best Club Marketing Initiative (Premier League) while Anfield was crowned Best Football Club Hospitality. A concept created by marketing agency Octagon, ‘This Means More’ is a fully integrated club campaign, running across all marketing and communications touch points throughout the 2018-19 season. Launched with an emotional film, created and produced in-house with narration from Jürgen Klopp, the campaign defines what LFC means to its fans and what the fans mean to LFC, bringing their unique relationship to life. Markus Breglec, the club’s marketing and media director, said: “We’re absolutely delighted to have won this award. Anfield was commended for its matchday hospitality, quality of service and overall fan experience. The team cater for 7,500 fans every matchday, providing unforgettable experiences to suit a range of needs and requirements. Paul Cuttill, general manager at LFC, said: “We want to create the very best memories for all our fans and visitors to Anfield.